Did you know there’s a way to effectively reduce stress, pain and muscle tension? Studies have found that massage may help relieve anxiety, digestive disorders, fibromyalgia, insomnia, myofascial pain syndrome, soft tissue strains or injuries, sports injuries or temporomandibular joint pain? Massage can lower the heart rate, lower blood pressure, strengthen the immune system, improve concentration, promote restful sleep and diminish chronic pain. It also produces feelings of caring, comfort and connection for a psychological impact. That’s a lot of impact for one action. While it isn’t meant as a replacement for regular medical care, visiting the Jackson NH massage therapists at Christmas Farm Inn and Spa can help you feel relaxed and energized. First, you prepare by resting and drinking water before your session. You should arrive a minimum of 15 minutes in advance of spa treatment to give adequate time for you to consult with your therapist about any symptoms, your medical history and what results you want out of massage, i.e., relaxation or working troubled muscles. At this time, your therapist explains techniques and can answer any questions you have. Keep the therapist updated as to any changes in your medical history (i.e. : surgeries, illness, skin conditions, etc.). Before a typical massage, partial or full disrobing occurs, although some therapies can be done clothed. You lie on the table and cover yourself with a sheet. Once you are ready, the massage therapist begins evaluating how much pressure to apply and where. You should communicate if pressure is too hard, could be harder or a specific spot feels sensitive. All massages are therapeutically oriented. Oil or lotion is applied to your skin for easier access to muscles. The length of your massage session will vary depending on the type of massage you are getting. Gratuity for your therapist is at your discretion. At Christmas Farm Inn, we provide several different types of massages, including Swedish and deep tissue techniques to reduce muscular tension and increase circulation, as well as the elemental nature massage incorporating Swedish, acupressure and reflexology techniques. The Chakra Balancing Massage (one hour for $125) uses balancing blends with deep tissue massage on the back and spinal muscles, then the feet to balance Chakra centers. The Fusion Stone Massage (an hour for $115) uses warm stones and aromas for deep relaxation of the muscles. Julie Sargent has special training in medical massage and can offer Reiki and Zero Balancing therapies. Reiki therapy is an ancient Japanese technique with gentle touch applied to a client lying clothed on a massage table, activating the natural healing processes in the body by channeling energy into a patient by means of touch. Zero Balancing is also performed on a client lying fully clothed facing up on a massage table, focusing primarily on soft finger pressure and gentle traction applied to key joints, clearing blocks and contributing to better posture. A Reiki Massage costs $100 for an hour while a 45 minute session of Zero Balancing runs about $95. Our certified Oncology Massage Therapist, Christine Sortwell, can also help those dealing with the complications of cancer and cancer treatment. We can provide prenatal massages, as well, in the second or third trimesters of pregnancy. The great thing is you can pair your massage with another treatment and save! Book any two treatments per person and receive 5% off. Book any three or more treatments per person and receive 10% off. Buy 5 treatments and get one free. Every spa guest enjoys all our extended facilities such as our indoor pool, hot tub and fitness center as well as seasonal outdoor pool. 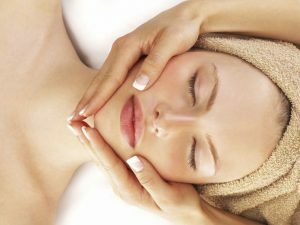 The Christmas Farm Inn Spa accepts appointments between 10 am-6 pm on Mondays, Tuesdays, Wednesdays, Thursdays, and Saturdays. We stay open till 7 pm on Fridays and close at 2 pm on Sundays. To book your massage or another treatment, call 1-800-HI ELVES, email spa@christmasfarminn.com or book online at https://christmasfarm.boomtime.com/lschedule . Sign up for our newsletter for special spa offers. Gift certificates are available and we can accommodate groups with catering to include cheese, sandwich or vegetable platters, garden salad, or adding wine and champagne. We will need to know the delivery date/time/location and any special instructions.